If you have followed this blog for any amount of time, you know two things about my oldest son. Number one is that he lives in his own head most of the time. 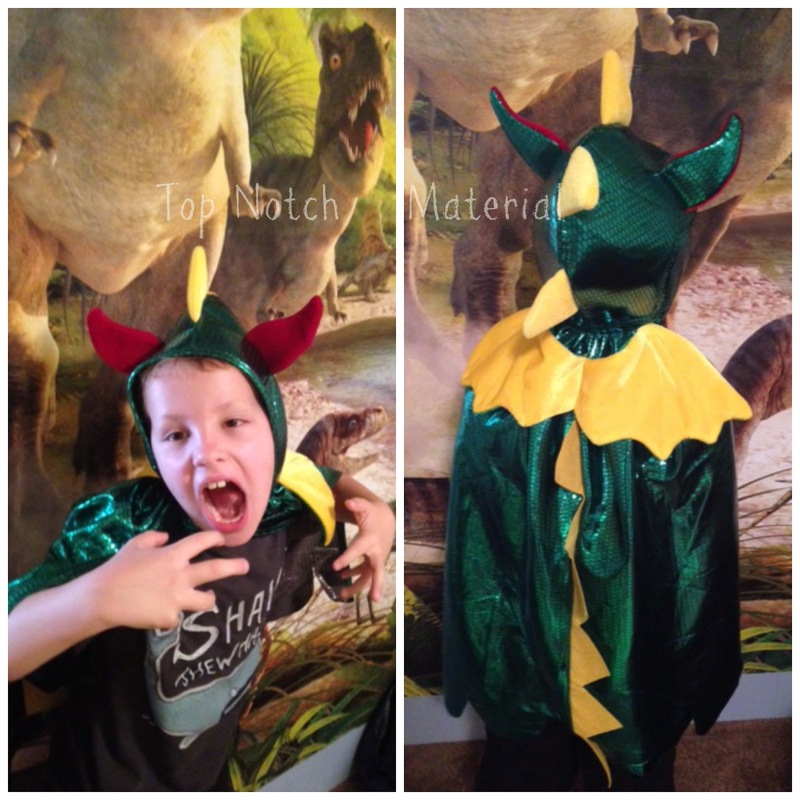 His imagination is always running wild and many times he turns into a dinosaur! While a dragon is not quite a dinosaur, to my little boy it is close enough! Whatever your child can imagine, the fantastic store "Great Pretenders" will probably be able to help! From Princess to Dragons, from Superheroes to pirates- great pretenders has it!! What I love most about this store, is the multi-function! My son now has a fantastic dragon costume to wear this Halloween and to his schools character dance (how many books have dragons in them? ), but he also has a great dress up/pretend play costume at home! As you can see, he thoroughly enjoys the pretend play at home and totally gets into his dinosaur role! The quality of of this cape is pretty phenomenal too! This is so much better than the kinds of capes you purchase at the big named stores! Those are made to wear for the holiday and pretty much be tossed because the material is so thin and lightweight. This costume/cape is thick and plush, and I know it will be passed down to baby brother to enjoy too!! The details on it are very nice and eye-catching as well. I highly recommend Great Pretenders if you have an imaginative little one like I do! They carry all sorts of pretend play items that are made to last and to be passed down! Win It: One lucky winner will receive your choice of the Dragon Cape or the Princess Cape from Great Pretenders. I like the crystal queen dress. I like the Flower Fairy With Wings. I like the Gold Glitter Cape. So pretty! The Monarch Butterfly Dress with Wings is adorable!! We want one! I entered the Little Scholars tablet giveaway. I love the Rainbow Fairy Dress, Md and so would my daughter. The bat toddler cape is awesome! My son would love all the capes really! I like the Storybook Series - Precious Purple! 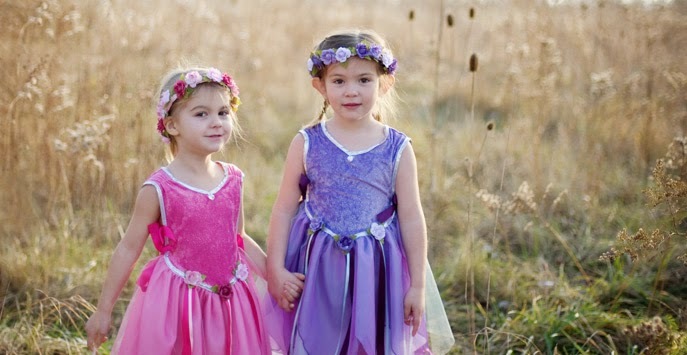 I would love the Royal Princess Fuchsia dress for my daughter. My daughters would love the Crystal Queen Dress. my daughter would love the Gold Glitter Cape!! I would love the Gold Glitter Cape!! I love the Spider Cape and mask! I like the Captain Hook Set but all are cute! Royal Princess Fuschia dress is so cute! THe fire-breathing dragon costume is adorable! The dog toddler cape is super cute too! I love the magenta princess cloak! My son would love the Captain Hook Set! I love the Fire-Breathing Dragon costume!